Cypress has a fresh, clean aroma that’s energizing and refreshing. 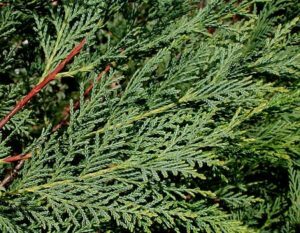 Cypress has a grounding, yet stimulating effect on the emotions, making it a popular oil to diffuse during times of transition or loss. It is frequently used in spas and by massage therapists. Combine this essential oil with Marjoram, Lavender, and Peppermint for a soothing neck massage oil blend. Cypress blends well with Bergamot, Cedarwood, Clary Sage, Coriander, Frankincense, Juniper Berry, Lavender, Lemon, Lime, Marjoram, Wild Orange, Rosemary, and Sandalwood essential oils. Prior to a long run, apply Cypress to the feet and legs for an energizing boost. Apply two to three drops of it to the chest before gardening to promote vitality and energy. Diffuse Cypress to reduce anxious feelings. Add one to two drops to a facial toner to help improve the appearance of oily skin. When applied topically, Cypress can help to keep the skin looking healthy while reducing the appearance of blemishes. Diffuse Cypress with Lime essential oil for an invigorating scent. This essential oil has cleansing and calming effects when applied topically. Cypress has surface cleansing properties.